Welcome to my page. Follow along with my journey as a chef/baker and bakery owner, runner- training, racing and pursuing my dreams! From the Pacific Northwest, Devon attended Roosevelt High School in Seattle prior to the University of Washington, where she earned a degree in English, which she took to the University of Pittsburgh for a Masters in Library and Information Science. Devon loves all distances and surfaces, and since 2006, has run more than 30 ultras and 45 marathons, either winning or setting a course record with each attempt. In addition to taking home the 2007 RRCA National Marathon and 2010 50 Mile Road Championships, Devon has represented Team USA three times as a member of the 100k National Team since 2009. 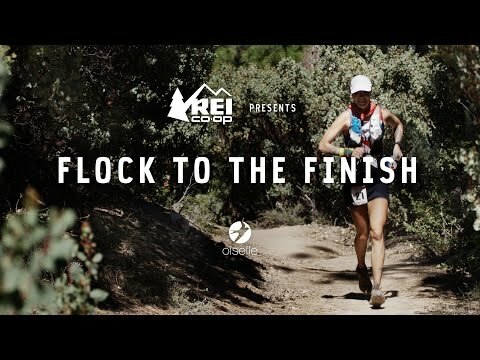 In 2015, she won the Javelina 100 mile in 14:52 which is the 3rd fastest 100 mile trail time for a North American ever. Continuing the trend of top results, in 2016, Devon earned a third place finish at the Western States 100. When not running and logging the miles (lots and lots of miles), Devon owns and operates a small bakery cafe with her husband, M.H. Bread and Butter. It is clear that Devon has multiple talents and interests, and says, "I am passionate about exploring my limits whether that is through running or life!" When she has time to reflect, Devon enjoys writing and sharing her journey through her blog at DevonYanko.com.